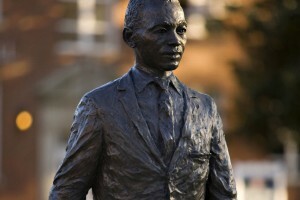 A former University of Mississippi student was indicted Friday on federal civil rights charges for allegedly hanging a rope and a flag featuring the Confederate battle flag around the neck of a statue of James Meredith, the university’s first black student. Graeme Phillip Harris was indicted by a grand jury on a charge of conspiracy to violate civil rights and using a threat of force to intimidate African-American students because of their race or color, the Department of Justice said. The rope and an old version of the Georgia state flag, which displays the crossed bars and stars used as a battle flag by the South during the Civil War, was placed around the neck of the statue in the early morning hours of Feb. 16, 2014. Meredith was the first black student after the university was desegregated in 1962. A spokesman for the university said Harris withdrew from Ole Miss in the spring of 2014, not long after the incident. There were others involved, the Department of Justice said. Three members of the University of Mississippi Sigma Phi Epsilon chapter were thought to have hanged the rope and flag around the statue. They have never been named, but the national fraternity suspended the chapter and expelled the three members from the organization a week after the incident. Sigma Phi Epsilon CEO Brian C. Warren Jr. said it was “embarrassing” that they were members. 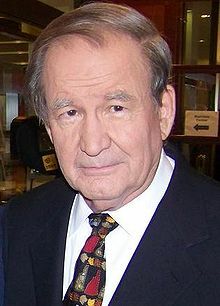 The Department of Justice said the investigation is ongoing. University of Mississippi Vice Chancellor of Student Affairs Brandi Hephner LaBanc said the situation is regrettable for all involved, including the student who was charged. In a press conference at Kingsmill last Tuesday, Gov. Terry McAuliffe announced that the Anheuser-Busch Foundation is donating 65 acres of land to the Civil War Trust, the largest section of the Williamsburg Battlefield set aside for preservation yet. It is hard to imagine who might be opposed to such a move, and potential benefits touted by McAuliffe and others include increased tourism, the educational enrichment of Virginia residents and students, and the conservation of undeveloped land. Still, the ultimate goal of a Williamsburg Civil War Battlefield Park is a long way off, with some 400 acres left to preserve. The fact that Anheuser-Busch, a corporation founded by two Union veterans, has played a significant role in the preservation of the Williamsburg Battlefield is both appropriate and interesting. It is an interesting coincidence that InBev, Anheuser-Busch’s parent company, brews Stella Artois (which might be referred to roughly as Europe’s Budweiser) in Leuven, Belgium, a city occupied by the German army during the first month of World War I. Sections of the city, including its famous university library, were burned. In commemorating the Civil War’s Battle of Williamsburg, it is similarly worth mentioning that, following the battle, detachments of the Army of the Potomac occupied Williamsburg for the duration of the war. As anybody aware of guerrilla warfare might surmise, the departure of the regular Confederate Army did not mean the Union soldiers who remained in Williamsburg were completely safe. Like many occupied wartime territories, sections of Williamsburg were destroyed as well. This includes the Sir Christopher Wren Building, which was put to the torch by renegade Union soldiers (perhaps emboldened by drink) who were tired of being shot at by snipers hiding in its towers. Their commanding officer, at worst vexed by the breach of protocol, was probably not annoyed by the removal of a secure vantage point over his encampment. If any of this is depressing, you may wish to imbibe the products of your local brewery, whether you find yourself in Williamsburg or Leuven. 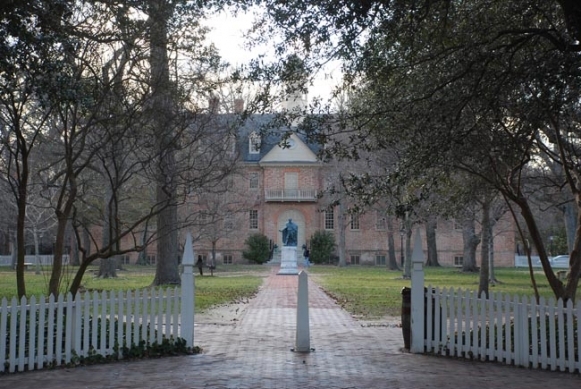 I mention this story in the hope that the College of William and Mary will take a more active role in the commemoration of the Civil War as it occurred in Williamsburg. Sadly, this might include laying to rest the misconception that the Wren Building is the oldest academic building in continuous use in the United States, unless we expand the definition of “continuous use” to include its use as a sniper’s nest and improvised field fortification. The Wren Building can still hold its title of “oldest college building still standing in the United States,” but the story of its (third) demise during the Civil War probably merits more than the single sentence it gets on the official website. Again, the Civil War is not exactly something to be celebrated, but it is necessary for it to be remembered. I hope that the movement to preserve the Williamsburg Civil War Battlefield will encourage the town and the College to take further steps to commemorate not only the Peninsula Campaign itself but also the somewhat murky history that followed. Frank Fucile is a PhD candidate in the American Studies Program at the College of William and Mary. He worked on the archaeological excavation of the Union Civil War camp in front of the Brafferton House in the summer of 2012. Email him atfafucile@email.wm.edu. Clayton will re-live its history later this month during an event commemorating the end of the Civil War 150 years ago. On April 12, 1865, the town served as the stage for the “Flag of Truce” meeting between Union Gen. William Sherman and former North Carolina governors William Graham and David Swain. In commemoration of that meeting, the town will “Turn Back the Clock to the 1860s” on Town Square April 11. 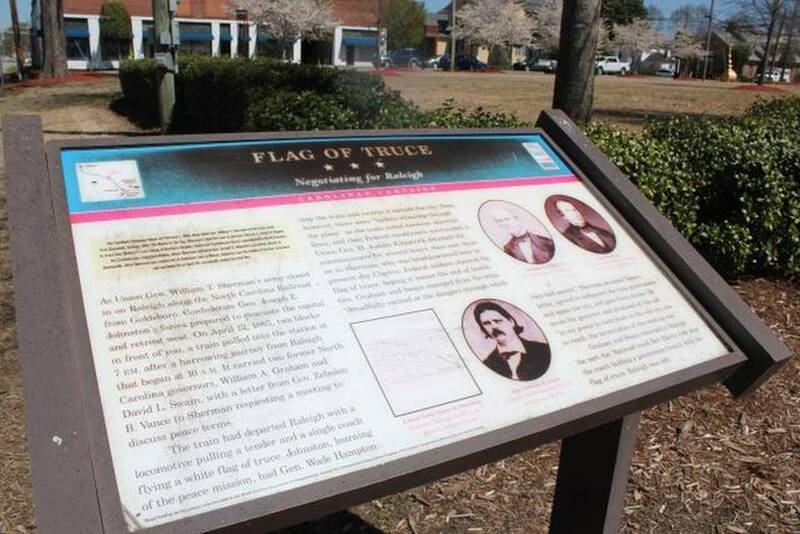 From 11 a.m. to 3 p.m., residents can learn more about the “Flag of Truce” meeting, Clayton’s role in the Civil War and local soldiers who served. Hocutt-Ellington Memorial Library and the Clayton Historical Association started planning the event last fall to coincide with the sesquicentennial of the war’s end. Pam Baumgartner, the historian in the library’s History Room, said living-history demonstrations will help tell the story of life during the Civil War. North Carolina author Bryan Avery will show how to produce tar, pitch and turpentine, key materials for the naval-store industry during the 1860s. Author Brenda Chambers McKean will tell stories and show displays about daily life for civilians during the war, while master weaver Nancy Hoffman will demonstrate her craft. Written, first-hand accounts of the war and daily life will be available for review, as will information on Clayton’s Civil War-era homes and enlisted men. Baumgartner and Mary Thomas-Compton, of the Historical Association, say they used information from the library’s History Room and findings from their own research to compile displays for the event. “We wanted to go into a little bit more detail for this,” Baumgartner said. Area musicians will perform Civil War-era music throughout the day. For children, the event will offer toys and games that were popular in the 1860s. “We want people to come and learn about their town’s history and know it,” Baumgartner said. In commemoration of the 150th anniversary of the “Flag of Truce” meeting between Union Gen. William Sherman and former North Carolina governors William Graham and David Swain, Clayton will hold a “Turn Back the Clock to the 1860s” event on Town Square on April 11.